For the qualifiers you’ll need a team of three Battlerite players signing up at https://smash.gg/tournament/enter-the-arena before the 17th of February. There’s not much time to get into it before the qualifiers, but who knows, with a fresh from the oven metagame you just might come up with a strategy that will stump some overconfident veterans. If you want a more detail-oriented breakdown of the tournament ruleset (or try to weasel your team through a ruleset loophole) you’ll find that here under the rules section. If you’re not already following Beyond the Summit at Twitch, you’ll find their channel here. 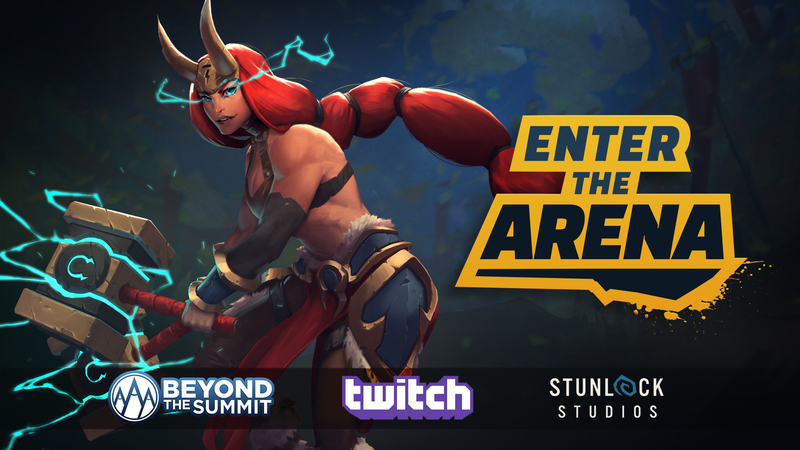 Beyond the Summit (BTS) is a new-media company based out of Los Angeles, California that creates and broadcasts high-quality eSports content.